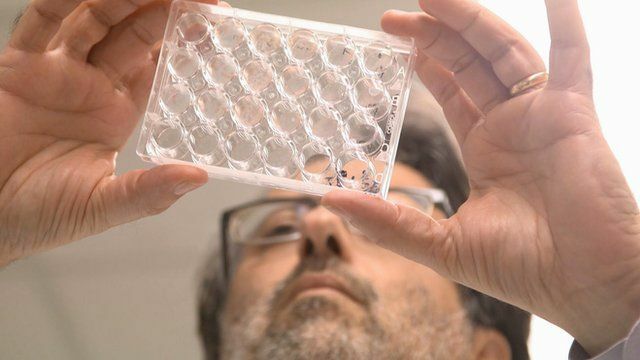 Scientists in the US state of Texas are working to develop a cure for the Zika virus, which is spreading rapidly through the Americas. The virus is linked to shrunken brains in unborn children, leading to severe brain damage or death - and scientists say a vaccine could be 10 years from development. It has spread to more than 20 countries, and has caused panic in Brazil where thousands of people have been infected. The BBC's James Cook went inside the high-security laboratories in the city of Galveston to see what progress is being made.